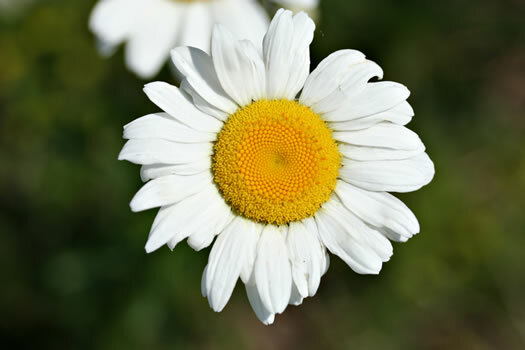 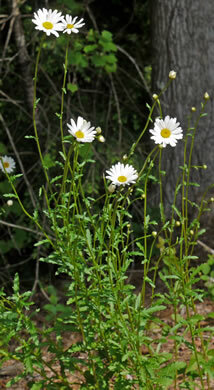 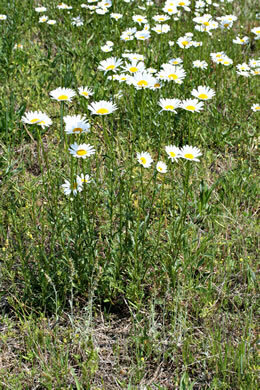 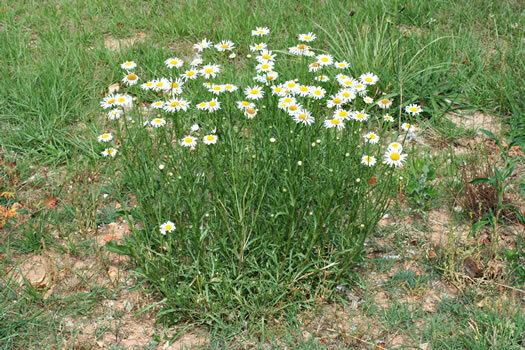 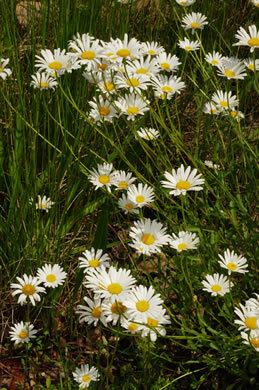 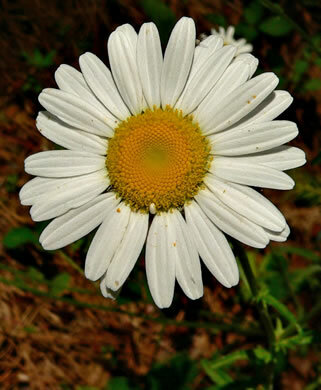 Any daisylike flower abundant in any meadow is almost sure to be Ox-eye, per All About Weeds. 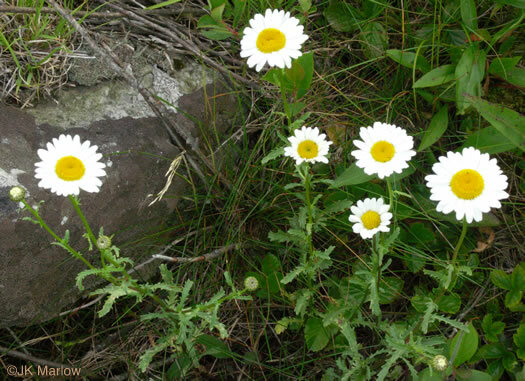 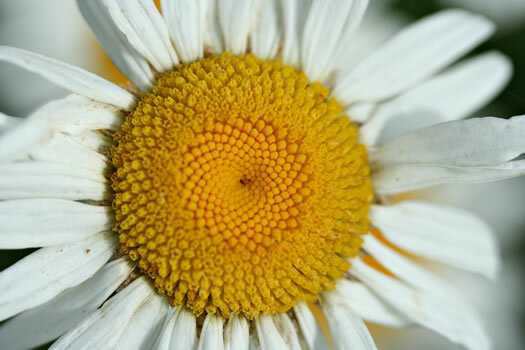 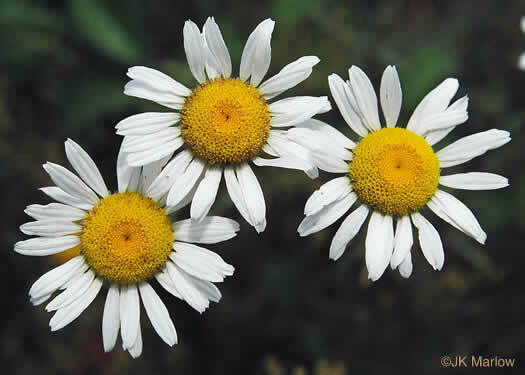 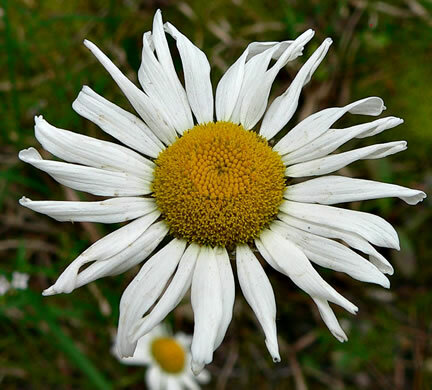 A flat, bright yellow disk and 15-30 white rays, per Wildflowers of the Southern Mountains. 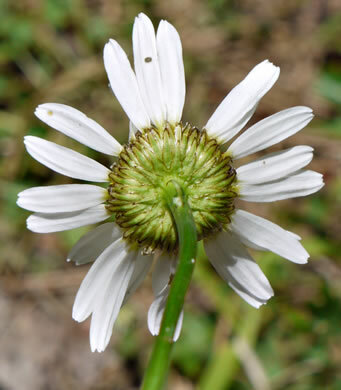 Involucral bracts often w a dark line inside the hyaline [translucent] margin, per Vascular Flora of the Carolinas. 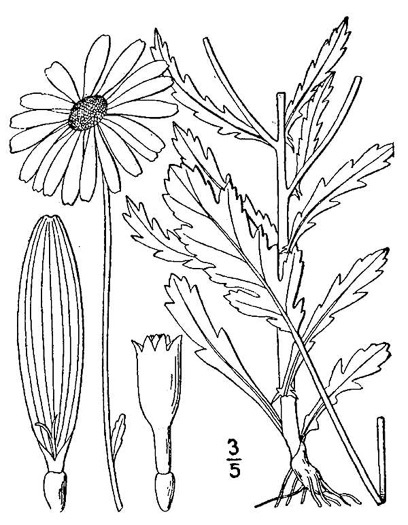 Leaves narrowly oblanceolate in outline, coarsely and irregularly lobed, per Wildflowers of the Southern Mountains. 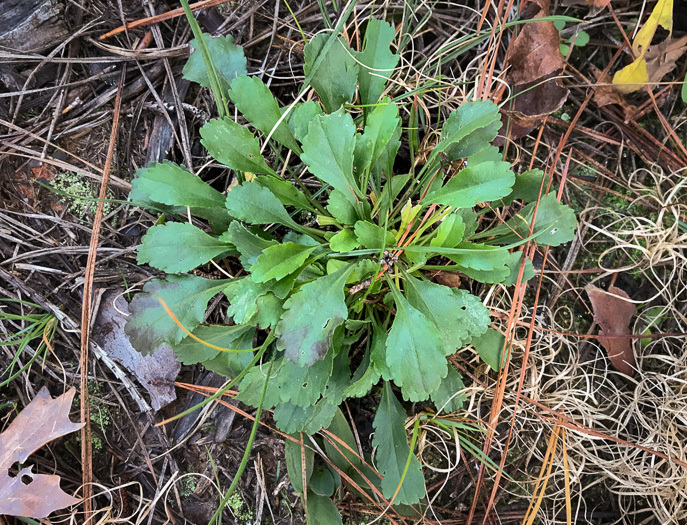 Basal leaf petioles 10-30(-120)mm, expanding into obovate to spatulate blades, per Flora of North America.